Why Does that Matter? Your restful sleep is achieved by getting the best quality Natural Custom mattress which provides the utmost genuine comfort and support for your mind and, body. Not only should diet and exercise be part of your daily health regimen, sleep is a significant factor as well. Let's face it, one third of your day is sleeping. 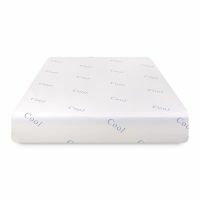 Our mission is to provide you with high quality comfortable custom made natural mattress support as well as eco friendly, organic, green, healthy sleep in Twin mattress, Full mattress, Queen mattress, King mattress, California king, 3/4 size, antique bed size, ROUND BEDS or, any other shape or size you can dream of, in order to acheive deep sleep. Natural Mattresses and CUSTOM SIZED MATTRESSES are handcrafted from natural mattress materials we utilize which enhances support and longevity, while contributing to --- The best part -- your over health. 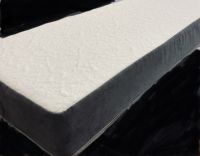 Horsehair mattresses, Latex mattresses and Cotton mattresses are our most popular natural mattresses we produce which provide you with a cool nights slumbler due to the continues airflow of natural materials. We have been building our custom mattresses for generations. 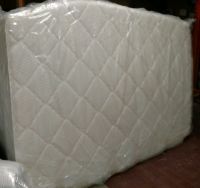 All of our custom mattresses are 2 sided which will provide you with many additional years of usage. We would be pleased to have you come experience each handmade mattress in our showroom in NJ and NY in order for you to gain the Custom Mattress experience. Here's the deal: Custom Bedding/Orange Mattress is one of the only family businesses today that still manufacture handcrafted, made to order custom mattresses, the old fashioned way. For over 100 years our family has been providing Handcrafted Custom Sized and Standard Sized Natural Double sided mattresses to our trusted customers which is you. We are one of the Best Mattress Store's in NJ and NYC because we take pride in our personalized service. For local customers, we will come out and measure your custom mattress or even standard mattress in order to provide you the perfect fit that accommodates any interior design. Custom Mattress sets are available in Standard Sizes, special sizes, odd sizes or unique shapes to accommodate Family Heirlooms Antique Beds or any custom mattress space requirements such as loft, bunk, crib, RV, round, oversized, extreme king or boat. Our quality mattresses and commitment to our customers has kept our mattress factory going since 1902. Today we keep up that tradition by using the same quality materials and craftsmanship as our grandfathers did in the past so as to provide you with healthy and comfortable sleep. Why not invest in your health and longevity by acquiring one of our custom made mattresses today.? We also carry the Julianna Mattress for those who want the modern type feel of memory foam. Ask about our interior designer discounts. 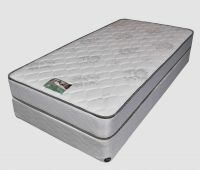 Our most popular products include Round Beds, Round mattresses, Two sided or Double sided mattresses, Custom mattresses, Antique bed Mattresses, HorseHair Mattresses, Organic Cotton Mattresses, Custom Box springs, Latex Mattresses, Electric Bed Mattresses, Sleep Sofa Mattresses, Camper Mattresses, Boat Mattresses, Natural Crib Mattresses, Natural Mattresses, Custom Natural Pillows, Cotton Pillows, Custom Bedding in any shape or size which includes accommodations for big and tall.